Dual input points for two thermocouples, with pushbutton controls for switching temperature scales and readouts. Very useful for many fired art forms! The blanket is 1 inch thick at a density of 8 pounds per square foot. 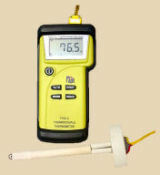 Insulates to 2300° (F). Contains no asbestos. Fibers are soluble in body fluids: any fibers inhaled or consumed will break down and pass through. Full roll is 48 square feet (2' wide by 24' long). Ceramic buttons along with Nichrome wire to hold your fiber blanket to your kiln. Comes in a package of 10. APK23 • SoftBrick 2-1/2 x 4-1/2 x 9"
Soft rectangular bricks, easily cut or shaped for many uses. Gauge numbers refer to how many pieces of the wire you'd line up, side by side, to cover one inch on a ruler. An 8-gauge wire would take 8 pieces, each 1/8" across, to cover one inch (or 24 pieces of 24-gauge wire, side by side). The higher the gauge number, the thinner the wire. All these wires are packaged in 10-foot lengths. Both of these wires are rated to go up to cone 10. They are the same wire that is used in making stilts. They will change color to black on the first firing which will not harm the wire. They will remain pliable for many firings. Each package contains a 5 foot coil. 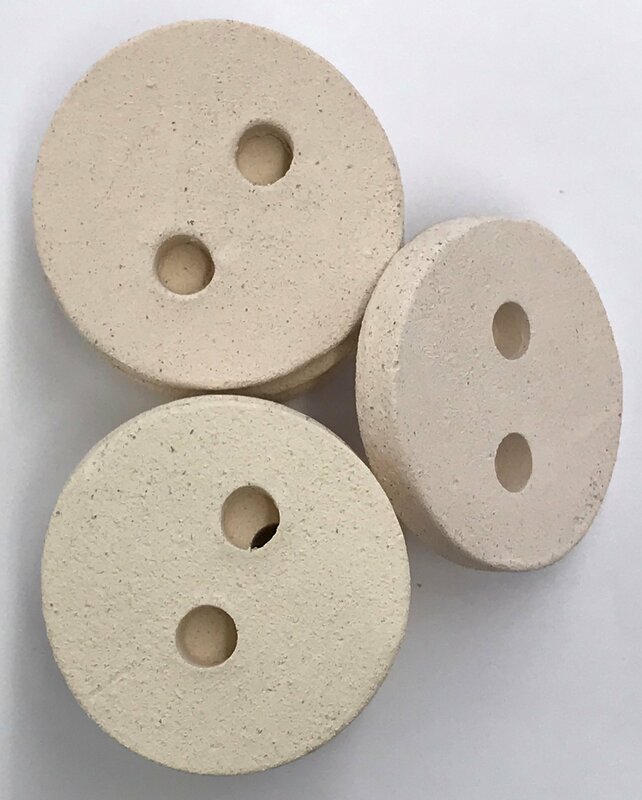 KILN WASH is a combination of refractory materials mixed with water (for application) and applied to kiln shelves or posts to protect them from glaze spatters, drips and runs. Avoid creating or inhaling airborne dust. We strongly recommend dust masks or better protection, plus workshop goggles or other eyewear, when handling the dry powder. In spilled, clean up with damp sponges to avoid lifting dust into the air. 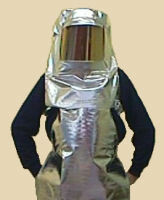 We also recommend this personal protective equipment when cleaning or scraping kiln shelves. DO NOT APPLY KILN WASH TO ELEMENTS, FIRE BRICKS OR OTHER PARTS OF YOUR KILN. Mix the dry Kiln Wash powder with water to a consistency roughly equal to skim or 1% milk. You've applied enough when you can no longer see the color of the kiln shelf through the dried kiln wash. The number of coats may vary depending on how much water you mixed with the dry powder. Scrape off any drips, runs or spatters of glaze from your kiln shelf after firing. The drips will take some of the kiln wash coating with them: that's normal and to be expected. Your application of kiln wash has a limited lifespan. You'll know it's time to completely scrape off the kiln wash and start over with a fresh application when the kiln wash begins to crack, curl or peel off the kiln shelf. Click here to visit our Safety & Cleaning page for respirators and dust masks. Raku is an inherently risky process as you work in close proximity to extreme heat and open flame. Raku firing should not be performed by beginners without training in the technique and related safety issues. 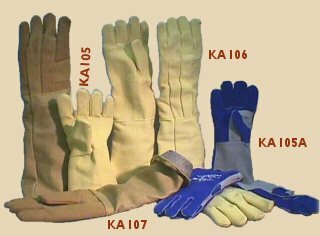 We strongly recommend the use of personal protective equipment such as firing gloves, safety or kiln glasses, and a respirator at all times around raku kilns. Kemper's long-handled tongs are made from rust-free stainless steel. They're solid and strong, offering a sure grip on your ware, yet lightweight because they have hollow tubular handles. Besides being a very fast firing process, raku also offers the ease of being very flexible in regard to equipment. Raku kilns can be built out of trash cans, 55-gallon oil drums, old electric kiln shells -- we've even heard of a raku kiln built out of the shell of an old Volkswagen Beetle! Georgies stocks several books that offer excellent info on kiln building. (This bracket secures the venturi burner in place at the proper distance from the side of the kiln. 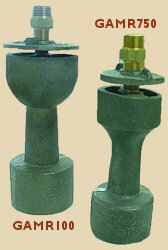 Made of welded steel for extreme durability in tough conditions of heat and weather.